Video enables brand marketers, businesses, publishers, thought leaders and fame seekers an opportunity to creatively showcase their unique value and talents, then share it with the world. The reason videos are at the top of marketing’s priorities list can be factored by the billions. YouTube: Each day users watch a billion hours of video, generating billions of views. The overwhelming power of YouTube alone makes it keenly obvious for businesses that there are volumes of opportunity created with video content. The contrast is stark. Those not utilizing this medium to get out their message essentially means they don’t exist to a billions of video consumers. According to Vidyard, 92% of survey respondents say video is becoming extremely important to their marketing efforts and more than two-thirds are increasing their budgets for video this year. Video consumption and production are at all time highs. 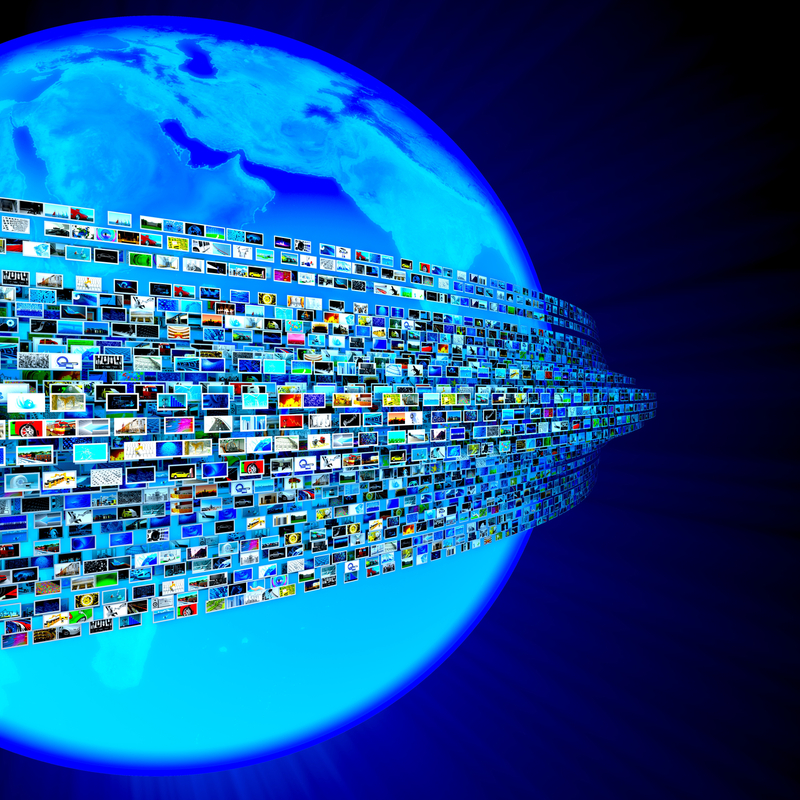 Why is video content continuing to grow in popularity and demand? The proof is in the numbers. Every major social network, including Facebook, Snapchat, Instagram, and Twitter are now video distribution channels. All of these platforms even have a “live” video format that is growing in use and features. Nearly a third of all people on the Internet are users of YouTube for one reason – video! Cisco’s Visual Networking Index reports, by 2019, global consumer Internet video traffic will account for 80 percent of all consumer Internet traffic. Brands are moving quickly to harness the power of video and share their experiences in this expressive format. Video is now seen as the best long and short form content to share a message and engage your audience. Retention is significantly higher from video over text. Video increases emotional engagement and it dramatically increases the sharing of content, a vital key performance measurement in marketing ROI analytics. Video is a smart business investment. Marketers deem video content production as a top priority today, with a focus on leveraging the power of YouTube and Facebook as key content distribution channels. In fact, 51.9% of marketing professionals worldwide name video as the type of content with the best ROI. Video appeals to a greater and more dispersed audience. Unlike other types of content, video is more accepted globally in the original source language. You can currently navigate YouTube in 76 different languages (covering 95% of the Internet population). If you aren’t using video, your competition probably is and having great success. The Vidyard ‘Video in Business Benchmark 2017 Report’ reveals that businesses have published 293 videos on average and are publishing 18 new videos every month. These businesses stated their video libraries will double within 16 months. Once seen cost-prohibitive for small businesses, video is now produced by small, medium and large businesses in great volumes. Easy-to-use self-producing video tools have significantly eased the costs and skills requirements for quality video production. In fact, 85% of those surveyed have an in-house video production team to create and distribute content. There are many uses and purposes for video content. Personalized videos perform better than generic. Short videos have far greater retention than long videos. Viewers retain 95% of a message when they watch it in a video compared to 10% when reading it in text. Entertaining videos are shared more than strictly educational. Videos help convert shoppers to buyers. In other words, videos are just good for business! The visual medium is seeded with golden opportunities to increase brand awareness and even drive sales. A successful video strategy ensures this content format represents a true experience that reflects the brand, company values and capabilities. Videos are art. Expression, creativity and edginess reward the innovators. It might even create the video “holy grail” – a viral video with millions of views. 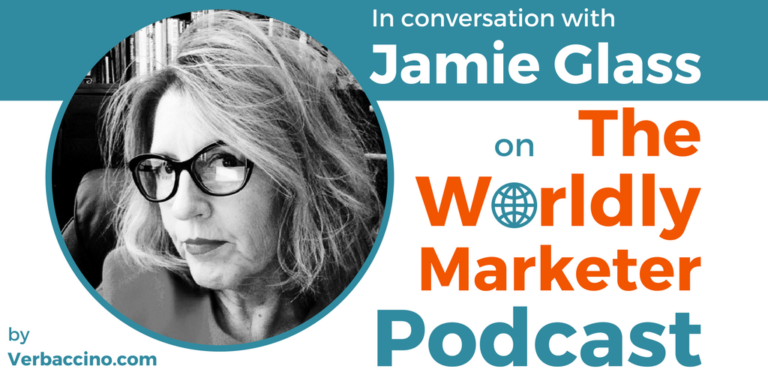 Jamie Glass, CMO + Founder of Artful Thinkers, a sales and marketing consulting company. Purpose is defined by ambitions, actions, plans and principles. In business, our purpose is revealed through communications, both intentional and unintentional. What we say is who we are, in perception and reality. The words we choose to share in describing ourselves, our businesses and our outlook, illustrates our purpose. Simplicity empowers the communicator. Simplicity frees the recipient from interpretation due to a lack of clarity. Complexity in content and message strangles good communications. Complexity will often leave your audience lost in intent and making assumptions in purpose and desired outcomes. Simple and clear direction produces higher quality results. Clear and concise messaging is the key to convincing others to take action. It is no secret, business leaders are often frustrated by the lack of understanding when they “feel” they provide explicit direction or orders. The frustration comes from the failure of communications, which is often caused by lack of clarity. The associated business risks and costs of failed communications can be astronomical depending on the purpose and use. Bad communications can negatively impact revenues, growth, relationships and confidence. Clarity improves connection and engagement because it increases trust and transparency. Clarity exposes purpose by unveiling expectations. Clarity tells people exactly what you want. Testing your message reduces misinterpretation and failure in communications. Here is a quick way to test your clarity. Share one sentence with no less than 10 words and no more than 15, with a person or group. After delivery, ask that they repeat it back to you verbatim. What were the results? Are you surprised by the fact some won’t recall “exactly” what you said? Now really test your clarity, ask them to tell you what you wanted based on that sentence. Did they properly interpret your expectations and purpose? Communication success if often defined by how close we reach an audience. Sampling tests will identify if there is clarity or your audience has a “gist” of what you are trying to say. A clarity test is a also way to show understand how people will imply their own assumptions, listen selectively and interpret the message. This presents a clear and present danger for the person delivering the message, which is why critical communications need good testing protocols. 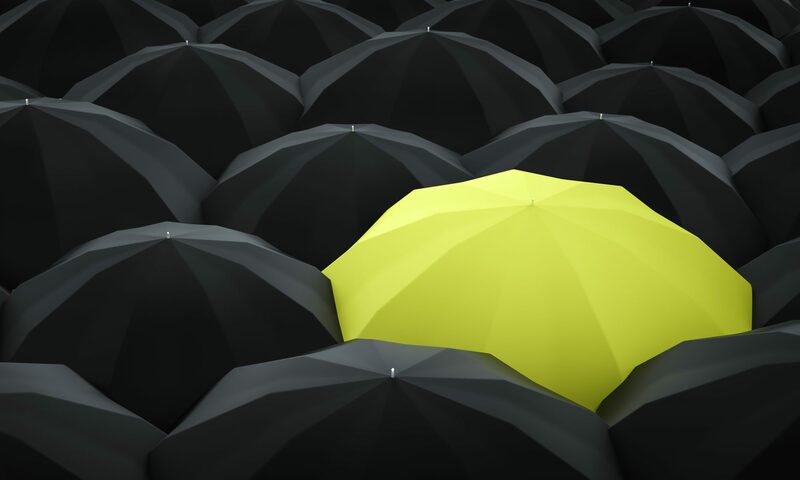 Know your audience and set your own expectations as the communicator. Humans are not skilled in being great listeners. We also have very active brains, myriads of distractions and sadly our attention spans are less than goldfish. Yes, that is actually proven through science. Microsoft reported in a 2015 study that people now generally lose concentration after eight seconds, while goldfish can focus for nine seconds. Your message has to cut through a lot of noise to be heard, no matter the content format. Clarity makes a difference. Definition of Clarity: Clearness or lucidity as to perception or understanding; freedom from in distinctness or ambiguity. Another valuable bit of advice from a practiced marketer, avoid the noise. Using hyperbole and jargon complicates the message. Ideas will be lost in translation. Simplicity improves clarity. Concise communications boost understanding and retention. Definition of Assumption: a thing that is accepted as true or as certain to happen, without proof. Never assume. “They didn’t get it.” “That’s not what I meant.” “You don’t understand what I’m trying to tell you.” Have you ever felt this type of frustration after delivering what you thought to be very clear communications? Communication is tricky. It’s an art. The biggest mistake made in business today is assuming others will clearly know what you are asking and what you want. For critical communications, it is important to follow through with post analysis. The results may require sharpening the messaging or providing clarifications to ensure the message is clearly understood. Who is to blame? When there is no clarity, the communicator often blames the audience for not understanding. When in fact, it was really just bad communications that produced unintended consequences. There was simply a lack of clarity. The owner of the message owns the results. Let’s be clear, clarity of intended expectations will sharpen a message and improve delivery. Clarity reduces frustration resulting from perceptions and judgement. No matter the content type, whether corporate communications driven from the CEO or marketing campaigns to draw in new prospects, say what you want with clarity and purpose. You’ll be happier with the results. Jamie Glass, CMO + President, Artful Thinkers, a sales and marketing consulting company. Let me just repeat what you have heard before, NOTHING is free, especially in business. Free will cost you something. The individual or company that offered you something for “nothing” is expecting “something” in return, whether it is your time, your information, or your money. Yet, we seem to easily succumb to free offers. Marketers have been ringing that bell for centuries and we continue to show up! Pavlovian Conditioning has taken hold of our reactions and behaviors towards free. It is as if we are hardwired to respond to free. It often requires thought-processing and discipline to not react to “free,” even for curiosity’s sake. As defined in Maslow’s Hierarchy of Needs, we are motivated by our hierarchy of human basic, psychological and self-fulfillment needs for survival. Free brilliantly feeds our deficiency and growth needs, as it can be perceived to be less work, little time, no money. It’s free! Or is it? Businesses have long engaged in serving up plenty of free. It’s common practice in sales and marketing to drive a response and entice you into engagement. It is every consumer’s responsibility to select and filter what is offered for free. Determination of the right outcome should be guided by the general economics rule that there is nothing for “free” and everything costs something, including doing nothing. What did you give up in exchange for free? The holy grail for any business, beyond revenue, is data and intelligence about your identity, your activities, your interests and most importantly, your needs. Content is king to marketers. It’s the best “perceived” free offer to get you to engage. 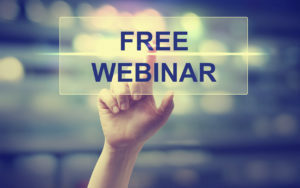 What is understood in the exchange of information, is that the all important free whitepaper you download, webinar your register to attend, article you read online has a price – usually your identity. Simply, content has economic value. You see, it wasn’t free to produce the content and the business needs a return on their marketing investment. For you, that give-back will undoubtedly end up in a difficult unsubscribe moment if you aren’t really ready to commit to an ongoing relationship. If the marketer is savvy, they will want to also get your phone number, address, title and some other profiling data bits for future courting. It is quid pro quo. Quid Pro Quo: Something that is given to you or done for you in return for something you have given to or done for someone else. Your action, your click, your interest is valuable to a marketer. The intent was there all along and if you play along, it is assumed everyone understands how “free” works. Businesses will entice you with expertise, knowledge, fun facts and top secret insights to get you to volunteer your privacy and enter the game of quid pro quo. Game or business, it is how the process works. Nothing is assumed and nothing should ever be hidden in the way it all works. It should all be out in the open and transparent in the collective activities. You opt-in, you share, you provide open ownership of your data and you are officially connected as a prospect. A lead of sorts, unqualified perhaps; however, still a potential buyer. A customer in waiting. In the end, this work of trying to engage you all leads to the creating a “pool” of contact-worthy participants. What is often not considered by the willing participant in the quid pro quo game is the cost of the free content that openly converts you to the property of that collector, and potentially being sold to other “like” collectors who have a shared interest in your interests. It’s money, it’s transactional, it’s business and you are now an asset. You see, there are fortunes to be made in owning your data. 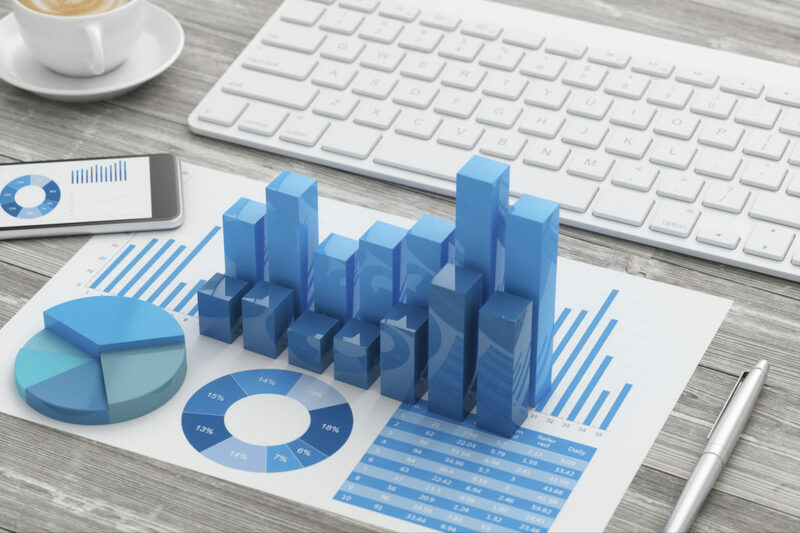 In fact, we are now in a new era where capturing and encapsulating it all has led to a lot of hording of data that businesses are trying to now figure out how to better monetize. Businesses have become data-driven in all aspects of how they function, market and drive growth. Data is entwined with nearly all facets of sales and marketing today. Being the controller of interested buyers or attentive consumers is gold to a business. The data economy is driving corporate growth. Your data has value and it requires ROI for those that are putting the effort and resources into the collection process. Your data fuels the pipeline of opportunities, so there should be no surprises when the emails land in your inbox, the phone rings or there is a knock at the door to pry into your true interests when you responded to free. It’s just business. Marketers strive for a qualified participant in the free quid pro quo game that willingly provides some level of profiling qualifications to subject themselves to continuous follow-up by people and technology. These subjects become part of the bits and bytes in corporate databases and lists, that may or may not be sold to others. Of course this doesn’t only apply to the collective efforts around “free” content and event trafficking. Quid pro quo is not just a philosophy, it’s a tool for businesses. Sometimes it isn’t as visible as a registration to get free content. The agreement to engage is deeply embedded into automation and intelligence to drive deeper relationships. To a business, that means converting you to a customer and driving up your customer lifetime value. The free hardware to use the service provider or software, that’s not free. That’s a tool to get you to be committed to a long-term relationship. The coupon for a free sandwich is to get you to pony up for another item on the menu. The offer to buy-one-get-one-free is to drive you to put that item in the shopping cart, along with more items because you got such a great deal. And the offer to use the software for free at the basic level (also known as a freemium offer), is to get you in as a subscriber. Once converted to a user, the intent is to upgrade your service to the feature-rich version. Nothing new or nefarious, it’s just the software business. Marketing wants you to engage, face-to-face, virtually or through your actions. You are part of the customer acquisition costs (CAC). Companies are heavily investing in and relying on technologies for gaining your identity They are collecting IP addresses. they are buying into marketing tools and utilizing sniffing techniques that can identify your geography, company email extension and maybe full contact details to win you over as a customer. These digital sniffer advancements watch, harvest and store your every move. Yet, you didn’t get anything for free… or did you? Your free browser, your free social platforms, your free operating systems, your free applications, your free videos are NOT free. You are paying for them through your actions. Smartly, the collectors of all this “free” stuff then sales the insights and actions based on your profiles to advertisers and other businesses for a hefty premium. Businesses exist and thrive on your shared experiences. It is what has built today’s largest global companies. Of course we all know (or should know) that it’s never really free. There is a cost to using what you perceive is free. It’s your mind-share and eventually, your wallet-share. One of the most costly free offers to business is corporate advice. 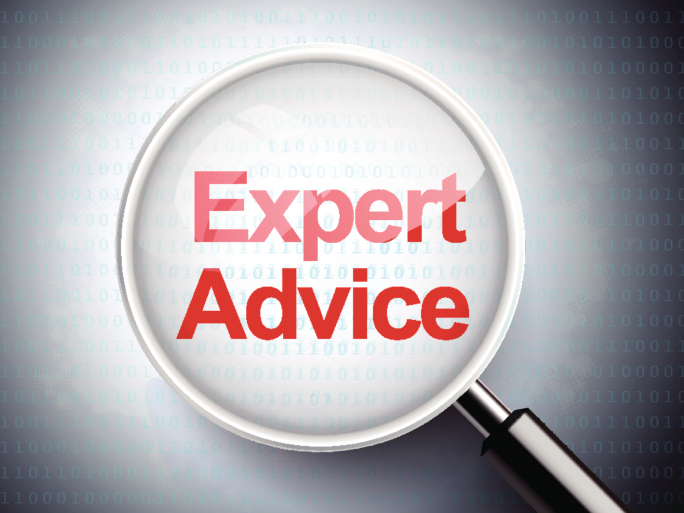 We all like to believe that advice from experts, who willingly share expertise and opinions, is all free. Actually, it can create quite a bit of distraction to those that willingly collect “free” tidbits from those that don’t have a truly vested interest in your success or business. It’s easier to give without consequence. As the receiver, you are the one that must pay the price for how your respond and react. Advise is also quid pro quo. Advisors might want your like, your share, your referral, your call, maybe just an bit of recognition and praise. Taking the advice has a cost in your time. How you apply the advice will determine the actual cost. If right, it may be a total win. If it’s the wrong “free” advice, it could cost you and your business a fortune. You may think you are getting something for nothing, but there is a price to pay for everything in business as well as daily life. Opinions cost you if they are generic. The best advisor needs to spend time understanding your vision, strategy, goals and anticipated outcomes. There is no doubt that the voluminous amounts of content in all forms is flowing fast and can be head-spinning. There are countless free ideas, suggestions, opinions, facts and sometimes falsehoods to help you do better. Proceed with caution! Words have consequences, even when they are free. Even if you are just giving your eyeballs and time, it has a cost to you and value to the creator of free. My free advice, remember it’s quid pro quo and there is no free lunch. TIP: Based on 20 years experience, what works best is when you are a trusted advisor and that comes from really listening, learning and understanding what a business needs and where they want to go. TIP: A good marketer needs to understand all touch point strategies and how communications are being used in representing the brand experience. TIP: Digital is changing the world and it’s a global economy so you need to be prepared to have all the conversations, all at the same time, without losing representation of who you are and what you deliver. TIP: On the topic of localization, the unsung heroes are translators, project managers and internal localization team members that empower organizations to go global. TIP: Most common pitfall for businesses is they don’t think about being global from the beginning. 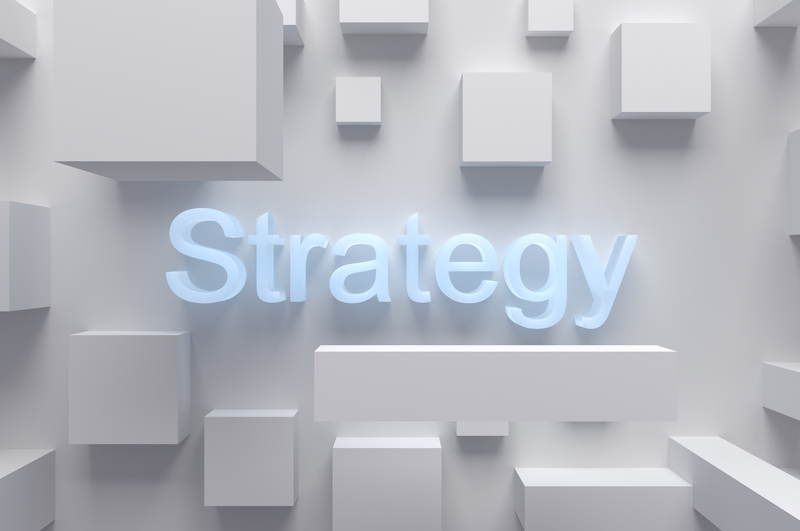 TIP: Think and plan your global market strategy with the same precision of how you orchestrate a great campaign. 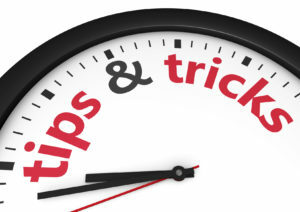 TIP: Use in-country resources to test your products and services or the competition will eat your lunch! TIP: We are in a nano-second world! Speed and agility are critical in marketing success. TIP: Science, data and technology run the world! Marketers need to be aware and know how to use it to seize the opportunities that are global. 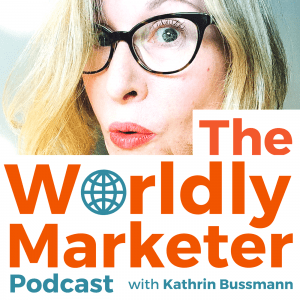 The Worldly Marketer Podcast is the show that brings you valuable insider perspectives on what it takes to grow your business in today’s global marketplace. How many touchpoints does it take to convert a target into a buyer? Marketing and sales experts will often quote a common belief that it takes seven touchpoints to convert an identified target to a customer. This is a good rule of thumb for budgeting and planning. Pipeline data and analytics should confirm whether this is true within your organization. Whether three, seven or 13 touches are required to convert a target to a buyer, the fact remains that well-coordinated touchpoint strategies between sales and marketing are critical to fully maximize the value of any investment in customer acquisition. This applies to people, methods and technology. The key to successful returns on this investment is identifying the “best” mix of touchpoints that amplify results. And this requires constant analysis, agility and oversight by sales and marketing executives. 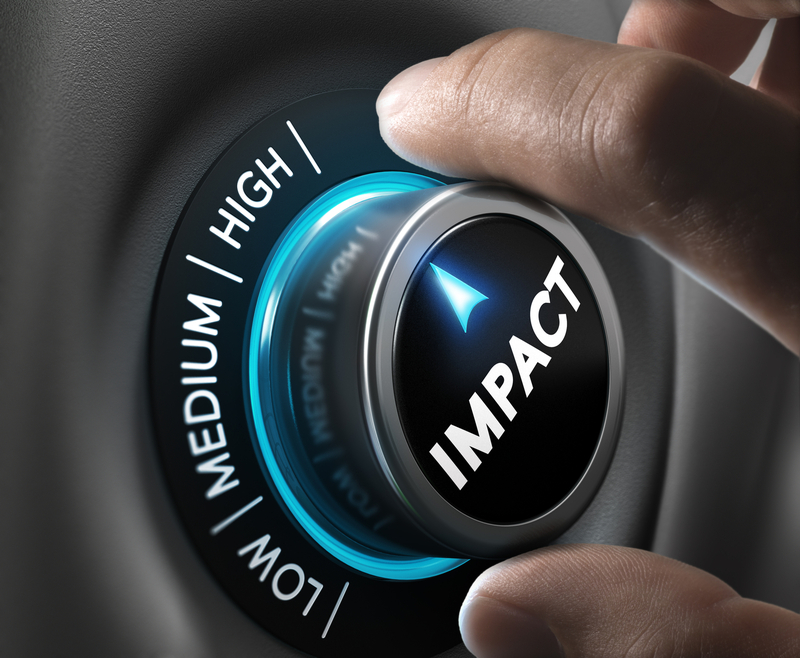 The initial step in maximizing the impact of touchpoint strategies begins with a coordinated sales and marketing plan detailing each touchpoint used for awareness and engagement. The touchpoints plan should outline every organized touch along the customer’s buying journey. From the initial stages of targeting and brand awareness campaigns to engagement with a sales professional, all touchpoints should be deliberate in activity, call-to-action and expectation of results. This applies to both B2B and B2C. A touchpoint is defined as the contact made with a customer or prospect in the buying and selling process. What are the most frequently sales and marketing touchpoint strategies used to convert a target from awareness to engagement? As you can see from the list, it is easy to find at least seven methods to reach your target audience. Each method can have multiple uses and characteristics. Experience, time, target types and cost will help determine the most effective methods for selling your products and services. It is vital to utilize a mix of touchpoints and apply them to every single target to increase your conversion probability. Obviously, the goal is to convert with fewer touches; however, it is essential to plan for the complete mix. Touchpoint strategies should not be left to circumstance. A touchpoint plan must answer who is responsible for each touchpoint, the medium that will be utilized, what will be said and how it will represent the brand. It needs to outline the schedule of activities and KPIs set against the expected outcomes to benchmark and measure success. Again, touchpoints should be married to the customer journey to ensure that every touchpoint is fully utilized to push and persuade the contact to buy. Consistency in outreach, timing and messaging for all areas within the plan requires alignment to the business goals and should be shared company-wide. One of the greatest failures is not leveraging the entire customer journey to completely benefit from all touchpoints. This happens when sales and marketing are not setting expectations on how, what and when touchpoints are utilized and who is responsible for delivery. Everyone in a organization sells. This means everyone should fully understand and value the sales and marketing coordinated touchpoint strategies. It is the leadership of sales and marketing that must then work hand-in-hand to ensure that the investments made into touchpoints are actualized to generate results. We all can hope for the one touch that leads to a conversion. Those tales often are ones that are repeated in company folklore. The facts remain, it most frequently takes multiple touches to successfully convert targets to leads, then leads to buyers. Coordination between sales and marketing only increases results and impact. Work together and expect more. Create your plan, set your targets, define your activities and measure your success. That is how you will maximize the results of your coordinated touchpoint strategies. Imagine what you would say if someone came up to you on the street and asked, “What’s your story?” It’s not the standard, “What do you do?” or “Tell me about yourself.” If you took the time to answer (and you should), you would probably put a bit more creativity into how you would respond, beyond telling them your current job, name, number of years of service and any other rank and file information. 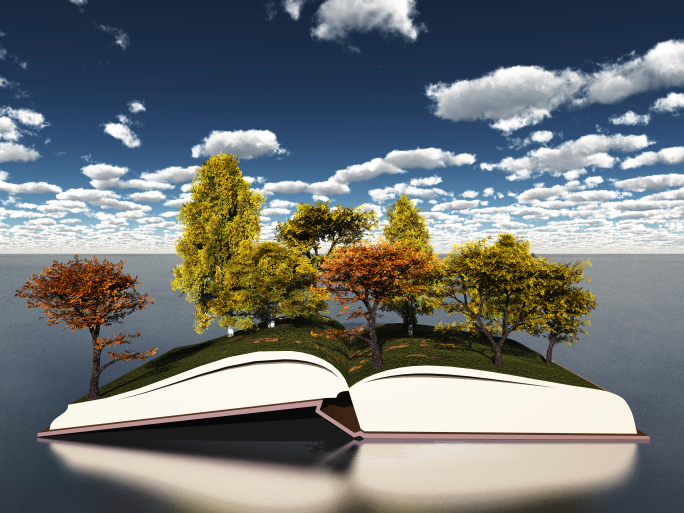 Storytelling taps into pure imagination and goes beyond recitation of facts. It’s bonding. It creates a commitment. There is more of a sensory investment into the word selection, the visual representations and the emotional connection you build with someone when you tell a story. You have the permission to be more animated, persuasive and invested into getting a “desired” response when you tell a story. Unlike a listing of data points or a mindless update, you can draw people in, get them to behave differently, react or just connect. People pay closer attention to your words when sharing a story. 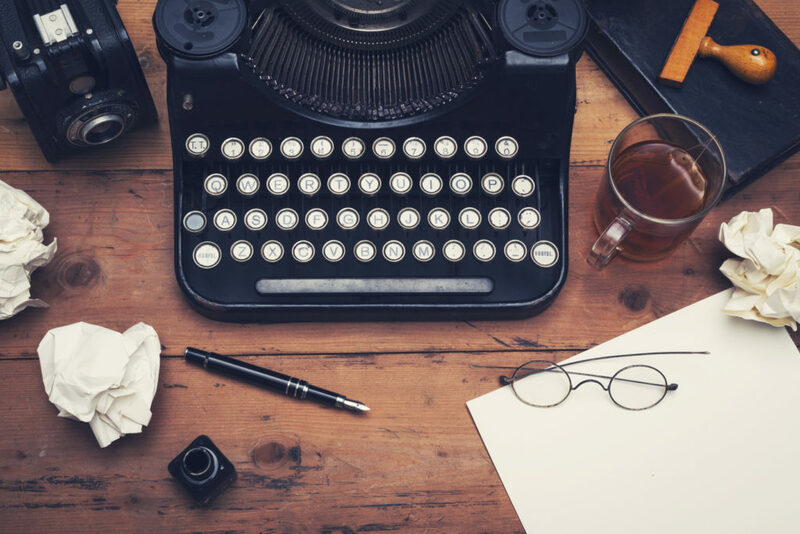 Storytelling often humanizes your content. As marketers, we continue to look for ways to personalize our message and relate to our target audience. Maybe the first step is to tell a compelling story. Storytelling helps to nurture a relationship between the teller and the listener – an attachment beyond the words. Can you recall a time you listened to someone tell you a great story that left a lasting impression? How far back in time do you have to go to remember that experience? A great TED Talk? Your favorite book? The perfect sales pitch where you bought all the upgrades? Or was it in elementary school, visiting a grandparent or maybe when your own child read you a story. Maybe it was the co-worker who shared their story about a spontaneous get-away to a tropical island that left you with great envy or surfing online to match that experience. Any single memory of a story that really stands out? Once you can identify that past experience, close your eyes for a second and picture where you were, what they said and why you felt so committed to their words. Capture that moment. Hold on to it and use it. That is the “mark” for you to measure your own storytelling skills. Use that experience for the next time you create content, provide a presentation, write to a client or sell someone on your invention – tell a story that leaves a lasting impression. In business, storytelling lets you enter into the consumer psyche to drive behaviors – good or bad. We all know that a really “good” story may get a person to react negatively toward an idea, product or person – a fear of all marketers. We often read about the statistical difference for remembering the bad experiences we are told over the good. Why? We pay close attention to those negative experiences – the stories are often told with great vigor and emotion. We listen intently to the story about bad customer service or being oversold. Perhaps it is because most people are far more animated and creative in warning us to “stay away” versus inviting us in or getting us to buy. You know the old adage, people buy from people they like. What better way to generate some “buying interest” than creating likability through storytelling. Build a relationship, set the expectation and persuade them to act – with a really good story. Storytelling is an art. It is harder to do in writing than in person. Both require a lot of practice. Storytelling needs investment, thought, creativity and inspiration. There is no better place to start than with your own experiences. So tell me…what’s your story? Marketers today are faced with the increasing challenge to produce more and more online content. The volumes are staggering. We now refer to the amount of online content and words in terms like metadata, moving from terabytes to zettabytes and beyond! So where is the value? Shouldn’t we be asking ourselves as publishers, marketers and content producers, this question. Is there greater value in trying to win the daily news feed cycle by overwhelming the feeds with our words or should we take your best performing content we have already produced and make it available to a broader audience? The volume and frequency strategy is supported by the eye-ball attraction game. It’s high risk, sort of a gamble. You hope you hit the mark; however, in the end you just keep pushing out more content to hedge your bet. Hitting it big is measured in minutes and hours. Instead, the expanding reach strategy is taking an investment into quality content and growing it exponentially. Doubling down. If your content is worthy and has universal appeal, perhaps the best best is localizing or translating that content to increase the value. One informative whitepaper on business intelligence could prove to have 3x or 10x the value when translated into the equal number of languages. Granted, not all content has a global appeal. It requires a measured assessment to determine if extending your geographic reach could leverage your existing asset by simply taking your “words” and making them available to a broader market. 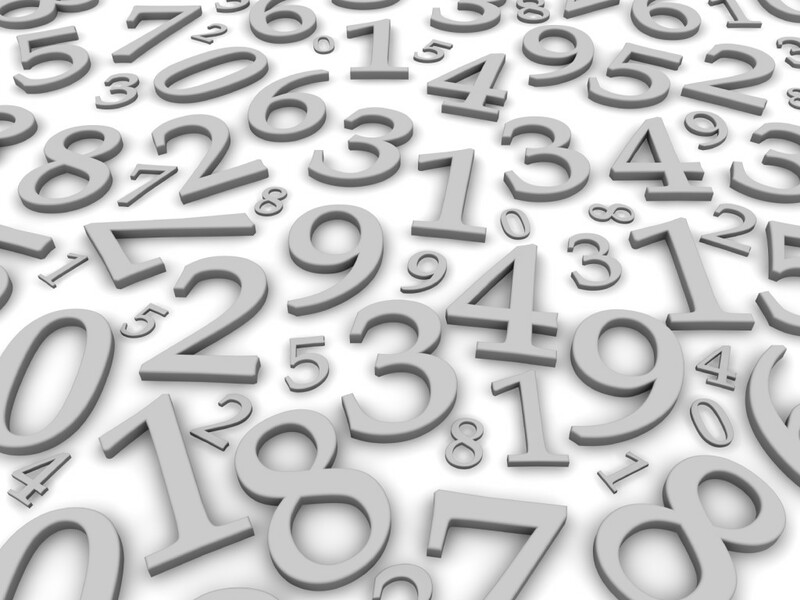 Frequency or expanding your reach – what’s your gamble? For the past two decades, I have been marketing and selling in industries that continually define their value proposition based on their most precious asset. We all proclaim, “Content is King!” In fact, you might even be able to claim some superiority if you have more content in one form or another. Supremacy is measured by words, pages, titles, key words, programs – all centered by amassed volume! The fact remains, size does matter when you are establishing a monarchy. Content leads an empire over technology and services, as neither could exist without some type of content. Content rules over technology because it is simply the enabler. Content reigns over services because it simply applies rules for access and engagement. Content matters. There are still classes of content. There is no argument that you can try to “win” over the masses in simple content population contest. Most words, stories, white papers, research, collateral. In the end, mass does not increase worth. Content is really only valuable when it is relevant and engaging. Originality creates the highest value. Purity of content gives power. Losing all the spin and focusing on relevance will give content strength. Content with personality that uses real stories, experience and expertise is what is most valuable. In the end, content with integrity matters more. Where your content kingdom resides is also imperative to the value. Original content with personality is irrelevant if it is invisible. It needs a home with a lot of good company. The company must have the same interests as the content provider. The home should be warm, inviting and engaging. Finding it in the back alleys of the Internet, also known as page 13 in search, simply means you might have good content but picked a bad location. The neighborhood of your content will have an impact on the value. Your content rules when you consider location, location, location and optimize. To be the “King of Content” requires careful planning. Amassing a library of superior content that is relative gives power; however, having a targeted audience to engage and influence will keep you on top. Great content is a gift to your audience. It will keep on giving and giving if you leverage quality and quantity matched equally location. Work with a publisher that reaches your audience, an audience who will appreciate your influence and expertise. Then, you can rise to the top and really declare that your content is king!